Nothing extends the summer feeling quite like a heated pool. If you’re in the market to install a unit or looking to upgrade your current system, the hardest part can be determining which one is right for you. There are numerous systems on the market, and each comes with its pros and cons. A gas system heats your water with a gas flame. The flame will generally heat your water quickly and efficiently and maintain a constant water temperature even if the air temperature varies. In the colder months, however, this temperature consistency can lead to the system using a substantial amount of gas. For the sake of environmental sustainability, newer model systems have been designed to produce lower emissions and are more efficient than older systems. The units available range in size and cater for different requirements. 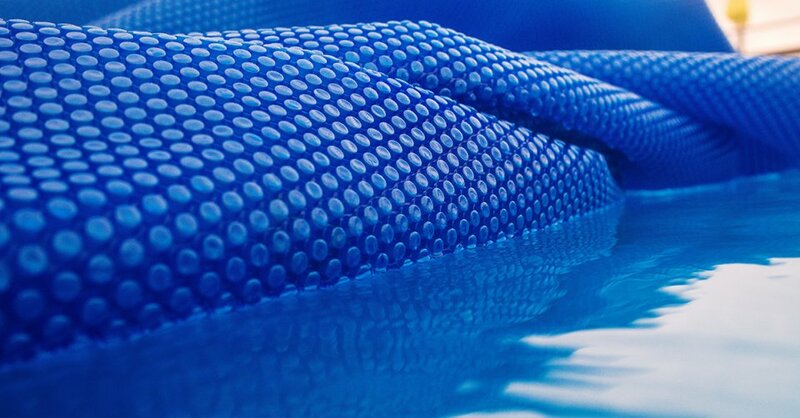 Warms the pool quickly and efficiently, meaning less wear and tear than other systems. Maintains a consistent water temperature. When gas prices are low, they’re more cost effective to run than electric systems. If gas prices increase they can be costly systems to run, especially in winter. Possible higher environmental footprint than other systems. An inverter heat pump is a highly energy efficient and economical way to heat your pool water. It uses the same technology as a reverse-cycle air conditioner, transferring heat from the atmosphere into your pool. Inverter heat pumps are unique in that they can be customised to suit the climate in which they are operating; allowing you to maintain your ideal water temperature at all times. They constantly monitor the water temperature and adjust the output to heat your pool perfectly without using surges of energy by turning on and off. Unit price and installation far cheaper than gas and solar systems. Less strain on the electrical supply by constantly monitoring water temperature and not using surges of energy. Less carbon footprint than a gas system. Takes longer to heat water than gas systems. In cooler climates, takes longer to heat the pool. The popularity of solar heating continues to rise. While the price of installation can be more costly than other systems on the market, solar heating generally has low operating costs after the initial investment. It also usually lasts longer than gas or electric systems; with proper maintenance, it can last from 10 – 20 years. Furthermore, it can provide a return on investment after 7 years or less depending on local fuel costs. If you’re building a new pool, consider where it’s situated in relation to the sun, as the type of pool cover you use can also increase the amount of heat stored from the sun. 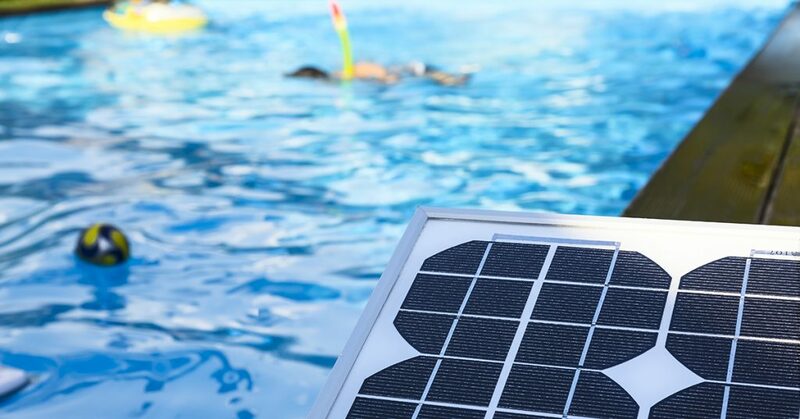 Allows you to use your pool for prolonged periods, as renewable energy is less costly to run. Dependent on adequate sun exposure for operation. Expensive to purchase and install. There are plenty of options when it comes to heating your pool. Good luck with your decision and most importantly – happy swimming! For more handy pool tips, make sure you head to our Facebook page.